Flexible Jobs for Child Actor Parents Are Out There! You are here:Home-Momagers in the News, Parents of Child Actors, Product Reviews, THE BUZZ-Child Actor Parents – Flexible Jobs Are Out There! Hollywood Moms! Flexible Jobs for Parents of Child Actors Are Out There! My name is Kelly Alligood and I am excited to contribute to Hollywood Mom Blog! My daughter, child actor Hannah Alligood, has appeared in the feature films Paper Towns, Miracles From Heaven, and Allegiant. At the time of this writing, her most recent project is the role of “Frankie” on the new FX project: Better Things. You are likely reading Hollywood Mom Blog because you and I have something in common: a child working in the entertainment industry. If you are also the parent of a child actor – you know it’s a job in itself. Personally, I can divide my work life into “before Hannah acting” and “after Hannah acting.” My daughter didn’t start working professionally until she was 10 years old so I had several years of working in a traditional fashion before our family stepped onto this roller coaster ride. I ran a successful preschool music and movement business for several years and absolutely LOVED it. Then in 2014 Hannah’s acting career kicked into high gear. We traveled for auditions, call backs, screen tests, bookings and all the required elements in the busy life of a child actor. Before I knew it, I was calling in help for my business more than I could be there myself. 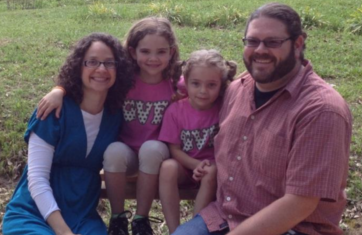 In order for Hannah to pursue her dream, my husband and I decided I’d give up my business. As a result, we decided to do whatever it took to make ends meet on one salary. It wasn’t an easy decision to make, but I haven’t regretted it for even a moment as we have watched Hannah’s acting career flourish. As a result though our family income was reduced considerably. We didn’t get to go where we wanted on vacation, go out to eat as often we wanted, travel as much as we wanted, and the whole family couldn’t always visit when Hannah worked on location. Something had to change. And eventually, almost by chance, it did. For months I searched and scoured the internet for ideas of how I could reasonably earn income without being tied down to an office or specific location. I posted Facebook messages, sent emails to friends, sent text messages asking for help, all with no results. If you have a working child actor and aren’t independently wealthy, I suspect you’ve done the same. Finally I noticed that a friend of mine was earning a living by simply washing her face and telling people about it! I thought to myself, “Well, surely I could do that. Right? I have to do something!” We spoke and she shared that there were some great perks to this business opportunity. There is even a 60 day money back guarantee on NOT ONLY the products, but also the initial investment to start the business! If I started and ended up disliking either the products or the business, I would return the products and get my investment back! What was there to lose? It’s one of the best decisions I’ve ever made. I’ve developed a different view of business and what this specific business is about: Meeting Needs. 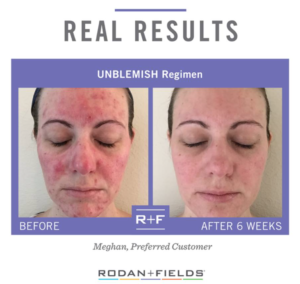 I’ve grown more confident in myself and in the company I represent, Rodan and Fields, the newest line of skincare created by the team who developed Proactive. This skincare line has proven to do exactly what they claim. The doctors reward us incredibly well for marketing the line. It’s an easy job to love. Now my entire family uses the products. If you have a question about acne, sensitivity, aging, dark marks or sun damage; let me know – between the four of us we have it covered! The main thing that allows this job to work for me, as the parent of a working child actor, is the flexibility. Whether I’m in New York, L.A., Atlanta, Chicago, Canada or Australia, it doesn’t matter. All I need is my phone, a laptop or iPad and an internet connection. I can work 15 minutes a day or three hours a day. My schedule is entirely up to me. I decide how much or how little of my time I invest. This opportunity may not be for everyone, but there are all types of employment options available for Hollywood Moms and Dads. Some industry parents drive for Uber, are online tutors or teachers, virtual assistants, yoga instructors, and others, like myself, are consultants for companies like Rodan and Fields. Look around. What’s available to you? What do you enjoy doing? What do you have time for? Do you want long term, residual income or short term, fun money? Do you need a lot of income or a little? Would you rather work alone or with a team? Do you enjoy helping people? Are you willing to put in some short term work for long term results? These are a few questions to consider when searching for the right employment choice for you. The point is this: You can make it work. There are ways to support your child’s successful entertainment career while still building (or in my case rebuilding) your own. You need to get creative and step out of your comfort zone. I know I did! But is it worth it to you? Is your reason enough to motivate you? If you have a big enough reason why, you will find a way to make it work. And if you choose the right thing, you can make some pretty amazing dreams come true for you and your family along the way. Break a leg! 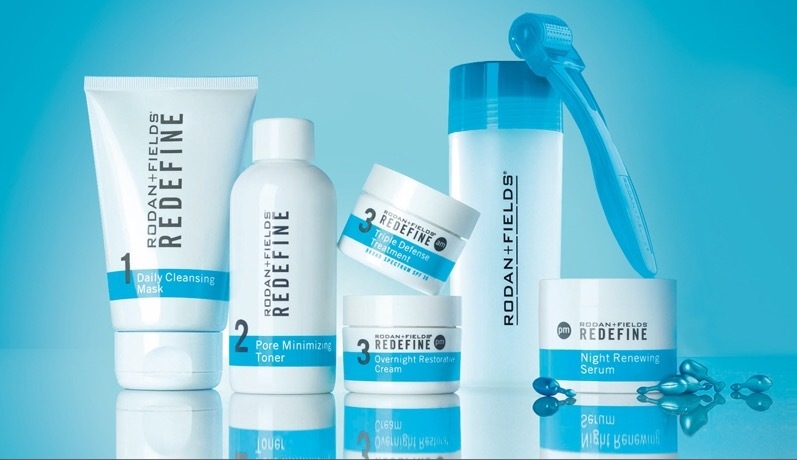 If you are interested in either the Rodan+Fields skin care or the Rodan+Fields business , I’d love to connect with you! Just for being a Hollywood Mom Blog reader, I will give 10% off your first skin care order or if you are interested in joining me in business, I will give you $50 off your business kit! You MUST contact me directly at kellyalligoodrf@gmail.com to get your discount. I look forward to hearing from you!